Treadmills are a great tool to have in every runner’s arsenal. They make sticking to your workouts possible during the winter months, spring rain, and summer heat. They can also make it safer to stick to your running plan when your schedule and family demands leave you training during off hours. That said, if you want to run a good road race or enjoy a few long runs during your next vacation, you’d better start planning some time on the road. Here are a few common pitfalls encountered transitioning from indoor to outdoor running – and a few ways you can train smart to prevent them. Ow! My Legs! I hear this complaint a lot. Runners who thought they were in good shape from regular treadmill and indoor workouts can’t believe how much their legs hurt when they start running outside in the spring. Hamstrings and hip flexors seem to be the two areas that take the worst beating. When you run on a treadmill, the movement of the belt assists you in lifting your foot off of the ground as it comes behind your body. When you run on pavement your hip flexors and your hamstrings have to take over that action. If you’ve been exclusively running on a treadmill for some time, your quads are probably strong enough to set a pace that your hamstrings and hips have a tough time keeping up with, resulting in a lot more soreness than you’d expect when you start running outside again in the spring. The trick? Throw in some strength training for those areas of your body in the weeks and months before you head outdoors. I like to use bodyweight, functional movements for this sort of training, since it better mimics the demands you will be placing on your body during that transition. If you have access to a staircase (and we all do), adding some step-ups and jumps will strengthen your hamstrings. Swiss Ball curls and bridgework with or without leg lifts are also great ways to bring in your core while strengthening these areas. Work up to three sets of ten every other day during the four weeks before you begin outdoor running. I can’t believe I tripped! 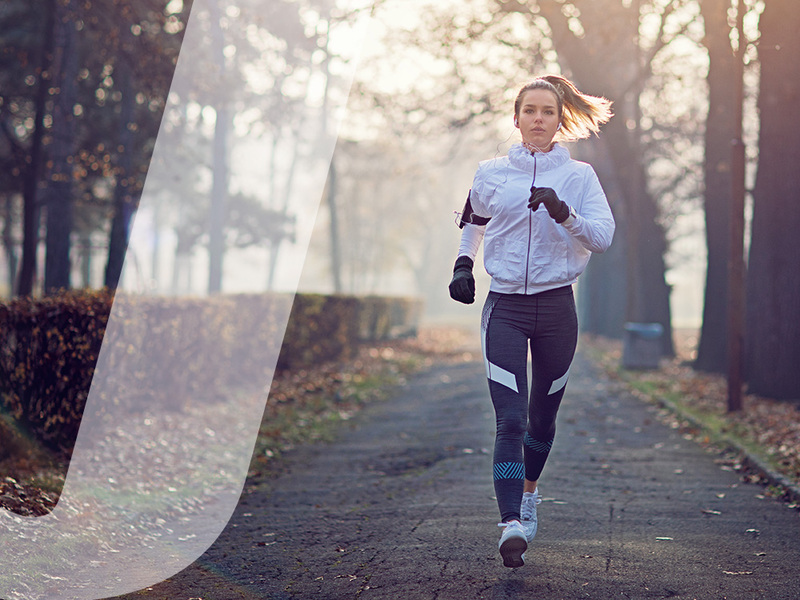 Whether you’re hitting the trails or simply dodging other runners on wet pavement, outdoor running and racing demand increased agility over your home treadmill. This isn’t necessarily a bad thing. Creating new movement patterns and muscular demands, not only makes you more fit, it can also make you smarter as your brain works to develop the neuro-muscular coordination to meet these new demands. The trick is to start doing this training safely in a controlled environment so that you’re ready to use it when the road gets bumpy. As you add in jumps for your hamstrings, you might as well focus on your ankle strength and agility by including some hops and multi-directional movements. Why am I so slow? From unpredictable weather (especially wind!) and roads that are seldom completely flat, your indoor pace can definitely take a beating when you head outdoors. To head this off, increase the incline on your treadmill every time you use it. Placing your treadmill at a 1% or higher incline better mimics the demands of running outside. This is the most common trick used by outdoor runners who want to keep the demand of their workouts high during indoor workouts. This technique allows you to benefit from the greater cushioning, stability, and climate control of your treadmill, while creating enough cardiovascular demand to mimic your outdoor workout. For most of us, keeping some treadmill runs in our rotation is a good idea. This lets us reduce the stress of running on a hard surface every day, accommodates fluctuations in weather and schedule and can even be used as a training tool if you’re struggling with the timing of food and drink for longer races. Doing some longer runs on your treadmill allows you to have these items nearby so that you don’t need to stash them on your running route before you head out. The best programs will include quality time outdoors, letting you take advantage of good weather, running partners, and the motivation of races and beautiful running locations, while also including treadmills for their predictability, convenience, and joint cushioning forgiveness.